Explore the great diversity of religious orders for men in the Archdiocese of Seattle, and find their contact info below. The Benedictine Abbey of Saint Martin's, founded in Lacey, Washington in 1895 as a monastery of the American Cassinese Congregation, is a community of Roman Catholic men dedicated to providing Christian witness in the Pacific Northwest through its monastic life of prayer and work, education and service to the Church. 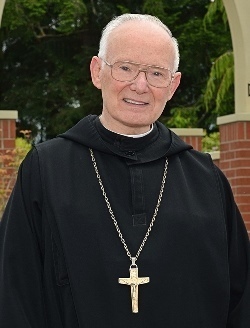 Saint Martin's Abbey fulfills its mission through liturgical prayer and worship, through its support of Saint Martin's University and through its pastoral service to the local Church. The basic principles and beliefs that guide its communal life are: (1.) prayer, (2.) hospitality, (3.) listening to others, and (4.) service to others particularly through education. Order of Discalced Carmelites - O.C.D. For eight centuries, men have answered the call to Carmel. Whether it was the 12th century crusaders who established a contemplative community on Mt. Carmel in the Holy Land or the thousands of men all over the world today who have followed in their footsteps, Carmel has become much more than a geographic place, it is a spiritual home. Since those first Carmelites, Carmel has become home to both men and women all around the globe as well as some of the most important and beloved saints in history. Still, the call to Carmel is as unique as each soul who makes the journey. The common denominator that links us is the deep desire to find a way to marry both contemplation and action in the world. As we strive for union with Christ we draw others closer to Him. In this life, we draw ever closer to one another in Christ. We invite you to join us on the path up Mount Carmel. Walking in the footsteps of Jesus with Elijah and Mary is a wonderful, deeply satisfying life. The Carmelinte Community serves at St. Cecilia Parish in Stanwood. We follow the example set by Christ and His Apostles, living communally, praying, striving for social justice, and teaching. 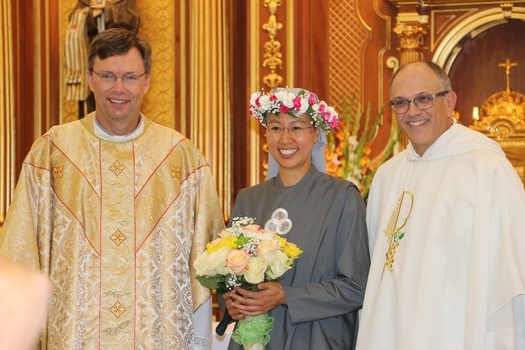 Brothers take vows of poverty, obedience, and chastity. Our efforts are particularly focused on serving youth, both in traditional academic settings and through a variety of innovative ministries launched to meet the shifting needs of our ever-changing society. As members of the Order of Preachers, we are called to follow in Dominic’s footsteps, imitating his mercy and preaching the Gospel of Jesus Christ in and out of season. Our life in common, along with our time in study and at prayer, allows us to share the fruits of our contemplation and proclaim the good news to every land and nation. 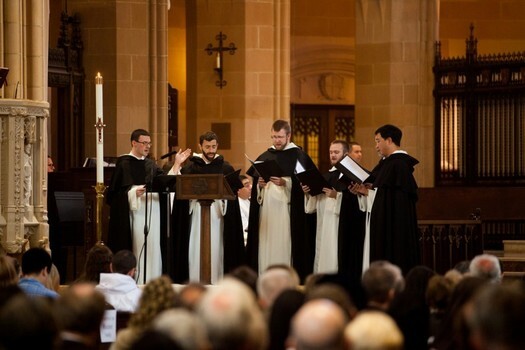 The Dominicans serve at Blessed Sacrament parish in Seattle and the Newman Center at the University of Washington. Domus Dei Clerical Society of Apostolic Life - S.D.D. Founded in 1630 by Jesuit missionary Alexander de Rhodes, Domus Dei has a long history of evangelization. After 1954, when Vietnam was divided in two, many Catholics moved from the Communist North to the South where they could freely practice their religion. During this time, Domus Dei members helped immigrants adapt to the culture and environment in their new land. That ended in 1975, when the communists overtook the South as well. Many Domus Dei Religious fled the country to the United States, where the mission has continued. 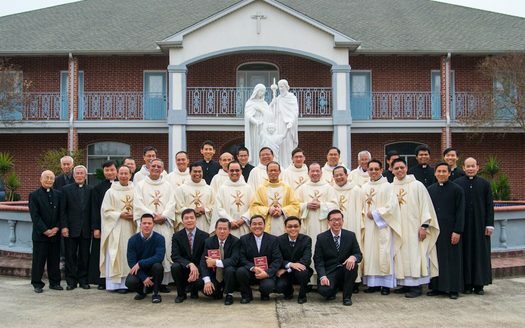 The Domus Dei Fathers serve the Vietnamese Catholic comunities at Holy Family, Auburn, Our Lady of Lourdes, Seattle, St. Thomas, Tukwilla, and the Proto-Cathedral of St. James the Greater, Vancouver. Maryknoll Mission Society - M.M. Maryknollers live out their missionary vocation to spread the love of God to those in need throughout Asia, Africa and Latin America. Firmly grounded in the Gospels and in ebble1Catholic social teaching, they live and serve in 26 countries around the world. Compassion is at the heart of all the ministries of the Maryknoll Fathers and Brothers. Whether providing life-giving medicines, nutritious food, blankets, or something as simple as a glass of clean water . . . it is compassion at work. As representatives of the Catholic Church in overseas lands, Maryknoll Priests and Brothers are committed to evangelization and actively employ the six elements of mission in their ministry: proclamation and witness to Jesus Christ; liturgy, prayer, and contemplation; inculturation; justice and the care of creation; interreligious dialogue; reconciliation. Missionaries of the Holy Spirit - M.Sp.S. 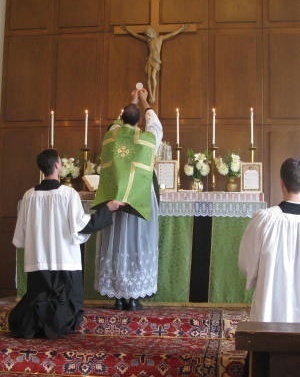 We are a Religious Order of men consecrated to God for the service of the Church. We live our consecration to God in a community of brothers, supporting one another in our vocation and ministry. We profess the evangelical counsels of poverty, chastity and obedience. 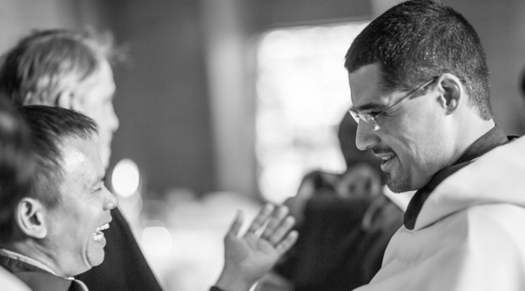 We are a total 354 members with communities in the Mexico, U.S., Costa Rica, Chile, Spain, Italy and Columbia. Our order is divided into 3 provinces: Province of Mexico, Province of Felix de Jesus and Christ the Priest Province, the province here in the United States to which we belong. Its members are distributed among 57 communities, 40 of which are in Mexico. The Missionaries of the Holy Spirit serve at St. Elizabeth Ann Seton parish in Bothell. Society of Jesus (Jesuits) - S.J. The Jesuits serve at Seattle University, Seattle Preparatory School, Seattle Nativity School, and St. Joseph Parish in Seattle. The also serve at Bellarmine Preparatory School, St. Leo the Great, St. Patrick and St. Rita of Cascia in Tacoma; and at Providence Medical Center, Everett, and Franciscan Health Care, Tacoma. Priestly Fraternity of St. Peter - F.S.S.P. 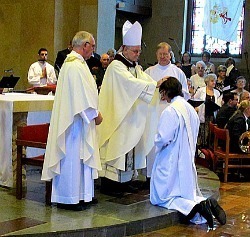 The Priestly Fraterinty of St. Peter serves at North American Martyrs parish in Seattle. Redemptorist Society of Washington -C.Ss.R. 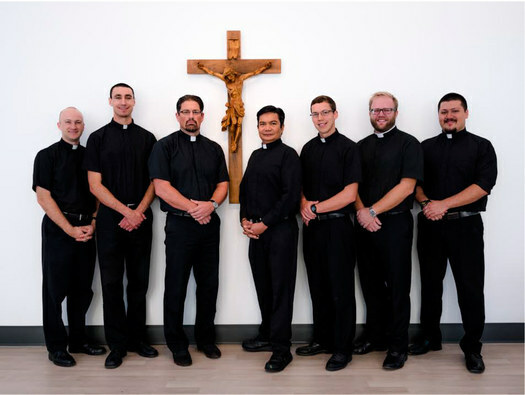 The Redeptorist Fathers and Brothers serve at Sacred Heart Parish in Seattle. The fundamental purpose of the Society of Christ for the Polish Diaspora is to worship God and to sanctify himself by imitating Jesus Christ. In particular, members of the Society join in the apostolate for their compatriots outside the Polish state. Cardinal A. Hlond, as guardian of the Polish emigre, after consulting with the Apostolic See and explicitly commissioned by Pope Pius XI, decided to set up a new religious congregation for the pastoral care of Poles scattered throughout the world. This idea was commissioned by Fr. Ignatius of the Church, who is considered a co-founder of the Society of Christ. The Society of Christ serves at St. Margaret of Scotland parish in Seattle, and at Sts. Peter and Paul parish in Tacoma. The Society of Our Lady of he Most Holy Trinity serves at St. Alphonsus parish in Seattle.